Much of the published work on disaster response has focused on specific disasters, highlighting what went wrong. Taking a new approach, this book explores ways in which transformational leadership principles may be applied to an organization’s disaster preparation and response, moving the organization away from a competitive or top-down approach and toward a more collaborative one. 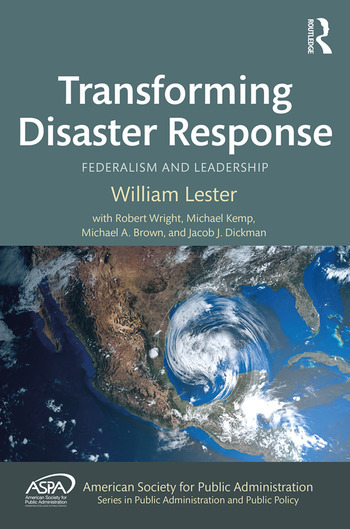 Rather than focus on centralizing responsibility, with commands emanating from the top, author William Lester offers readers a new paradigm, with step by step instructions on placing transformative and collaborative systems front and center, in order to develop a sustainable disaster response system – one that is not centered on a specific leader or time, but instead focuses on the changes needed to build a system that can outlive any one leader. 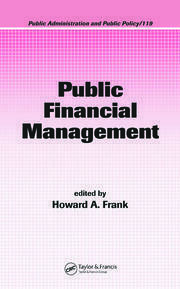 Implementation plans to move from concept into workable, effective strategies that can be used immediately are included. 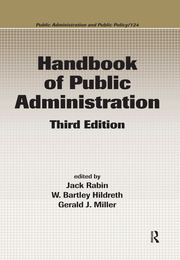 Assuming no prior background in either organizational theory or disaster response systems, the book offers practical examples and hands-on explorations of the responses to Hurricanes Sandy, Harvey, Irma, and Maria, written by experts who know those disasters best – delivering important insight into what elements make the best disaster response system. 7. National Preparedness Agenda: A Call for Collaborative Networking? 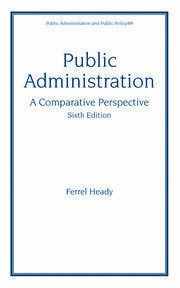 William Lester is Professor of Political Science and Public Administration at Jacksonville State University, USA.